Voted Toronto's #1 Commercial & Residential Snow Removal Contractor, five years in a row. 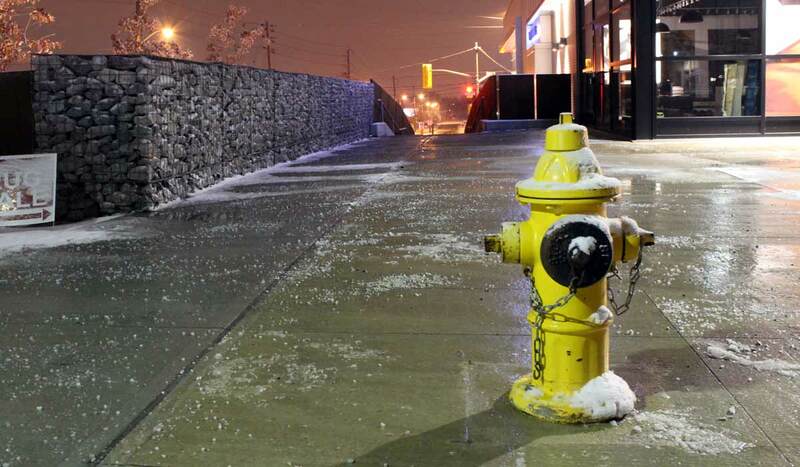 Delivering bespoke Snow & Ice Maintenance to Toronto's Leading Commercial & Residential Properties since 2006. Flat-rate, automatic, seasonal coverage includes service for every snowfall over 1 CM and all freezing events. 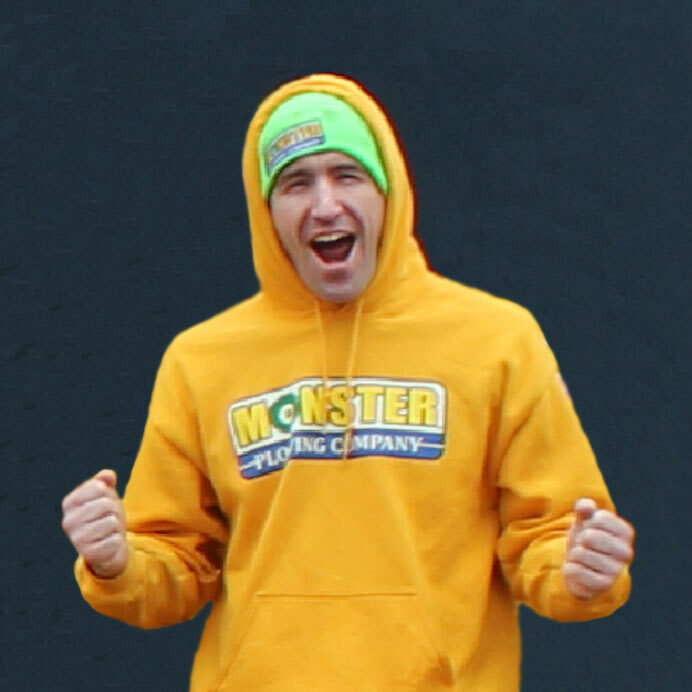 Monster's Flat-rate Seasonal Contracts have Absolutely no hidden fees or surprise charges. 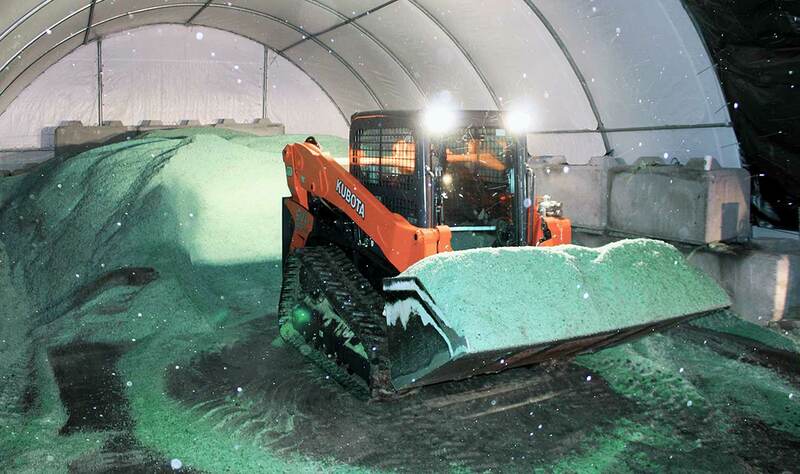 Monster's All-Inclusive, Unlimited Green Ice Melter is 84% Less Corrosive than Road Salt. 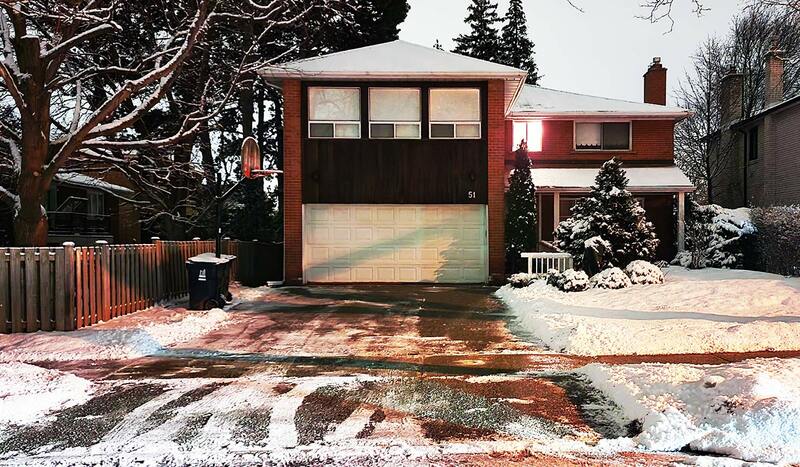 Trust Toronto's #1 Snow Removal Service to Keep Your Property Safe this Winter! From Downtown Toronto to North York, Forest Hill to Rosedale, Etobicoke, Yorkville, and everywhere in between, Toronto has voted Monster Plowing Company #1! 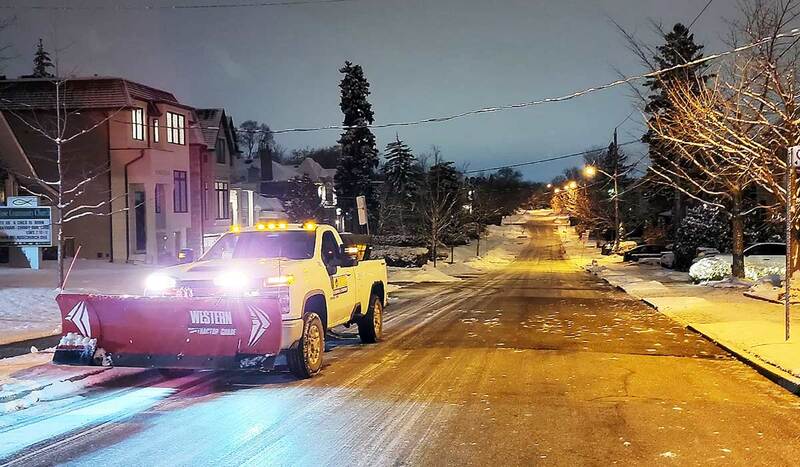 Designed to keep your property automatically free of snow and ice throughout the entire winter, Monster provides Toronto's most reliable snow and ice maintenance services. Our flat-rate seasonal contracts include unlimited service for every snowfall over 1 centimetre, as well as coverage for all freezing events (including ice storms, flash freezes, and freezing rain). 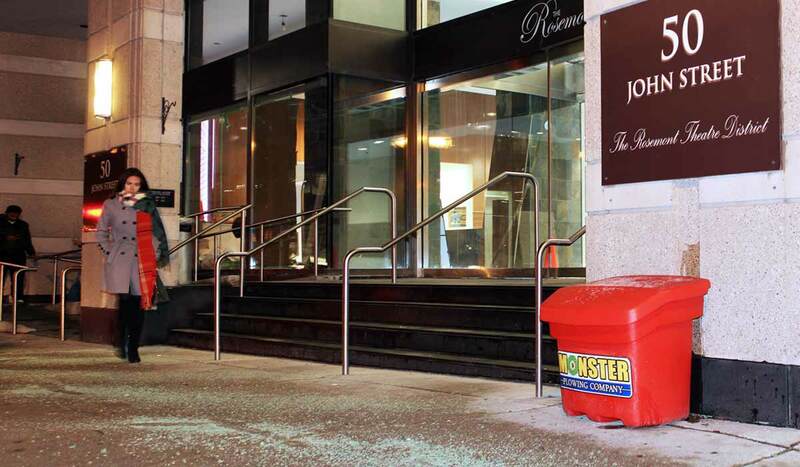 With Monster professionally caring for your property, you can rely on our seasonally-contracted response to keep your premises safe, clear, and beautiful all winter long. 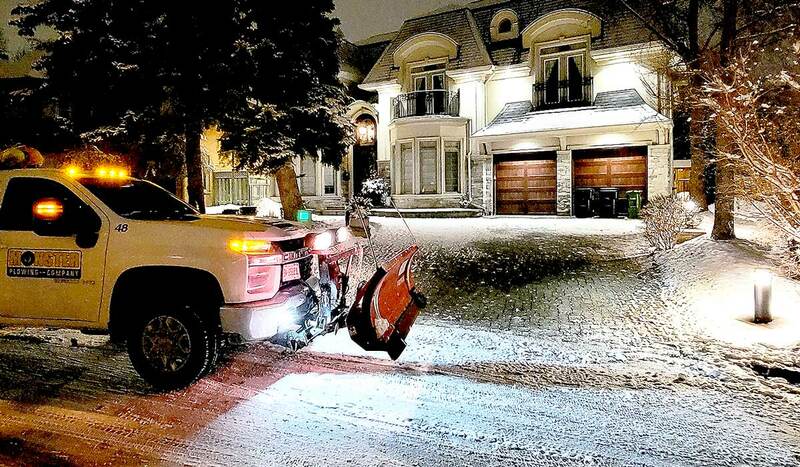 Plowing Toronto snow since 2006, Monster comes equipped and experienced to take care of even the most demanding commercial and residential properties. Whether managing a busy retail store, office building, apartment complex, or a boutique residential home, our guaranteed winter maintenance contracts include everything you need to ensure safe, unimpeded access to all areas of your property, all season long. Rest assured your premises are in the best hands this winter, click here to get your free quote! 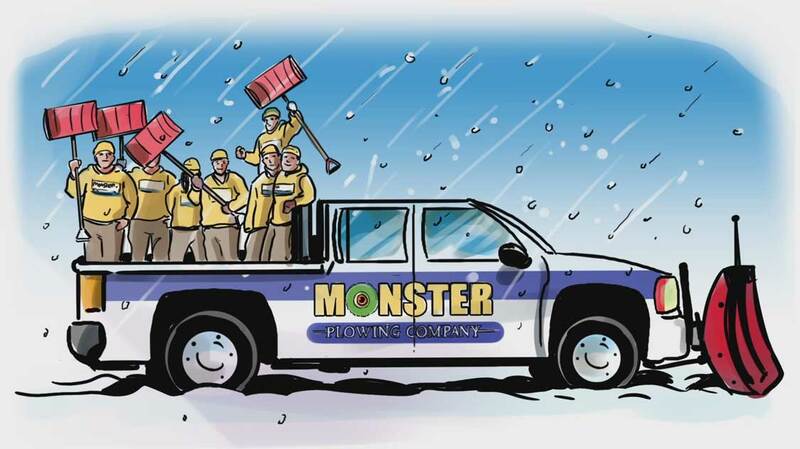 What Can You Expect from Monster's Snow Removal Service? Unlimited snow clearing and deicing visits included for every snowfall over 1 CM and all Freezing Events, no matter how much, how often, or how heavy it snows. Comprehensive winter coverage includes automatic deicing for all types of weather, such as nuisance snow, freezing rain, flash freezes, and ice storms. 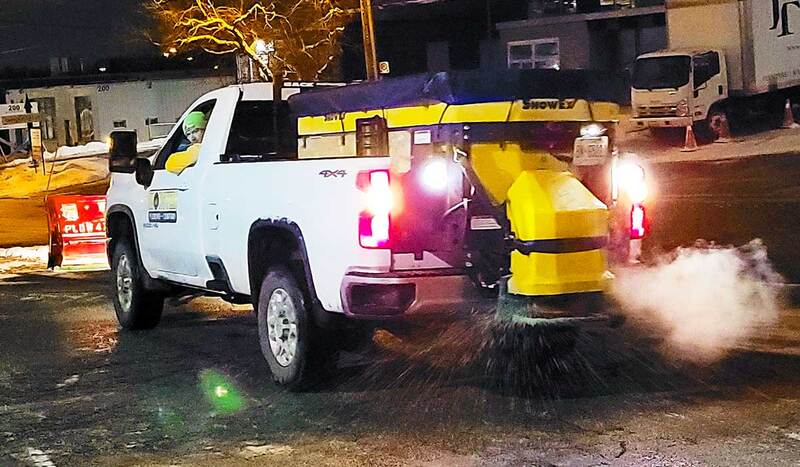 Twice as effective as regular salt, and 84% less corrosive, our renowned, eco-friendly Green Ice Melter is exclusively included for all deicing operations. Performed prior to business hours, morning service is guaranteed after all overnight snowfalls or freezing events. Emergency response visits, made to enable easy site access during daytime snowfalls or freezing events. Multiple visits to maintain optimal site conditions, logistically staggered as necessary throughout the day and night. In-house meteorological monitoring enables immediate crisis response for sudden winter weather events. Your flat-rate seasonal cost is guaranteed to remain unchanged, regardless of how many times we attend your property. Your service will remain unlimited no matter how much it snows, with no hidden costs or surprise disappearing acts. What's Included in Our Exclusive Seasonal Care Packages? 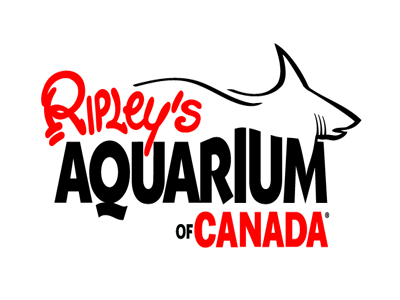 Special Early Bird pricing valid before October 15th, 2019. You can't quite put your finger on it, but you know your old snow plowing service just doesn't appear to understand your needs. It seems like all you do is wait for them to show up, then if and when they finally do arrive, the performance of their work is substandard. Thankfully, Monster Plow is your cure for the common snow removal contractor. 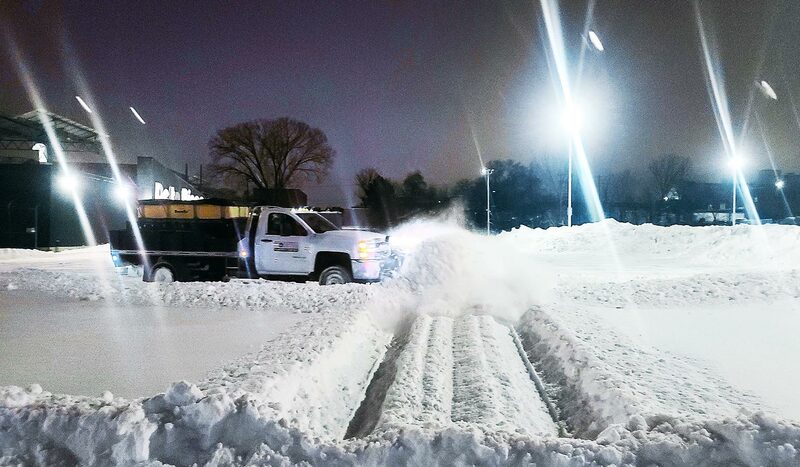 Our commercial and residential snow removal services are anything but common. 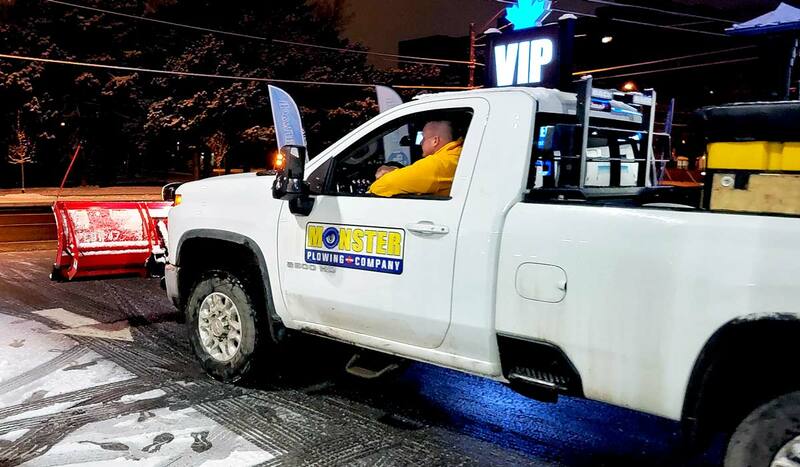 Monster's winter maintenance contracts include everything you need to ensure safe, unimpeded access to all areas of your property, all season long. Watch the video below to find out exactly what you can expect from our seasonally-contracted snow removal service, in 45 seconds or less! 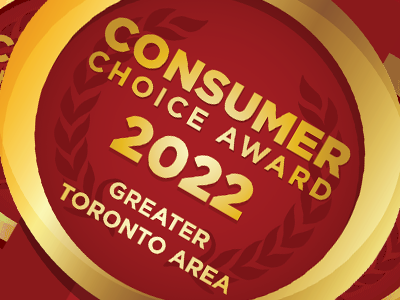 In 2019, for the fifth consecutive year, Monster Plowing Company was awarded the Consumer Choice Award for Best Toronto Snow Removal Service. 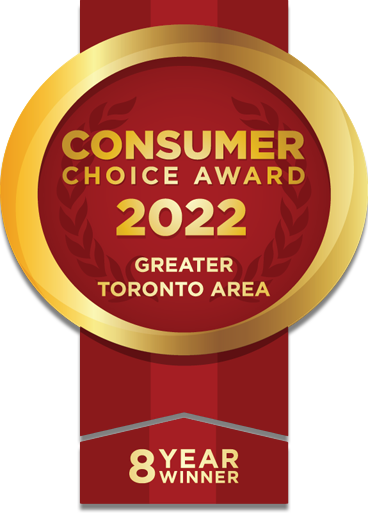 All across the Toronto area our customers have voted us #1! Recipients of the CCA award are chosen based on an impartial, objective, market-research oriented survey of public consumers, performed by a major forensic accounting firm. Only the most recognizable brands are nominated for this award in the first place, so to be selected as the best of our our great city is truly is an outstanding honor. "Receiving recognition for a fifth consecutive year from such a valued and respected collective as the Consumer Choice Awards is amazing. On behalf of Monster Plowing Company, I am so happy and proud to accept this award. 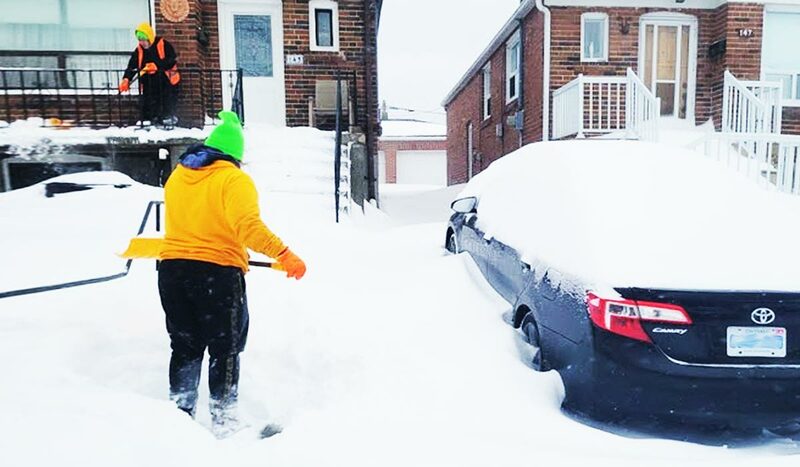 It means so much to our staff, because these individuals spend long hours away from their families to do the hard work necessary for our client's properties to stay accessible in the face of Toronto's harsh winter weather. Thank you to our esteemed clients for all of your support over the years, this award could not have happened without you!" Monster Plow - 2017 & 2018 Top Choice Award Winner for Toronto's Best Snow Removal Service! Top Choice Awards collects and reviews the opinions of thousands of customers annually. 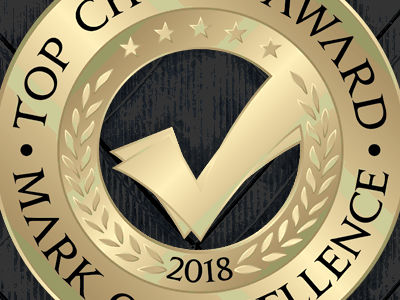 Conducted since 2005, the survey accepts nominations from the public and allows them to vote in a variety of categories for their favorite businesses and professionals in their city. 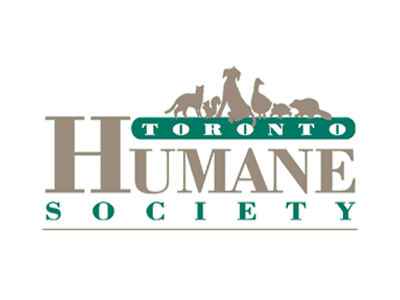 This year’s survey was conducted in 27 cities across North America and received responses from over 998,000 participants. With over 2600 nominees in the running for the top spot in their category, the survey broke all records of popularity and intensity. Known as the business award "that’s social”, TCA tapped into its social media channels to help drive the survey, reaching targeted areas and a wide demographic audience. 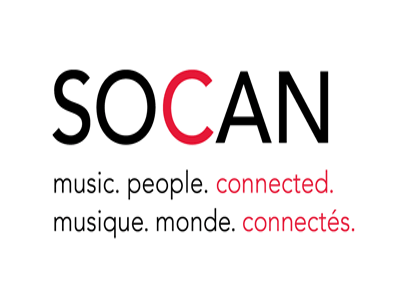 Nominating and voting happens via phone, email, mail and online outlets such as our website and social media; providing a free spotlight for North America's brightest and renowned businesses and professionals. "We are so proud to have received this amazing acknowledgment from Top Choice Awards. 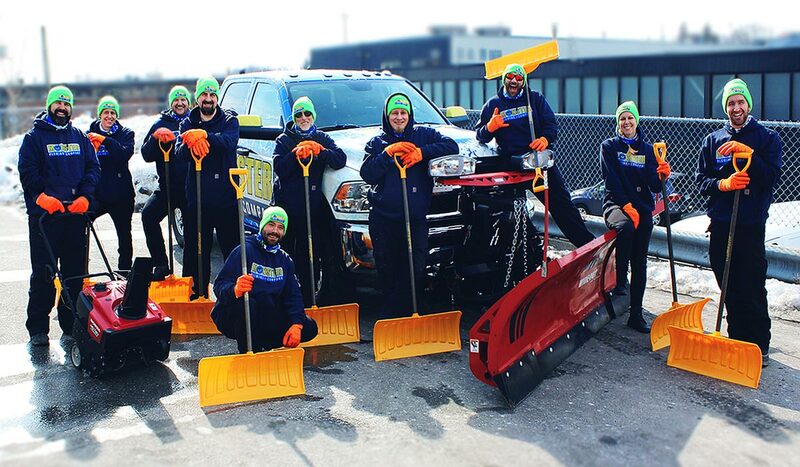 Being recognized as Toronto's best snow removal service our community is an honor. What makes the Top Choice Award so special is that the winners are nominated and selected by the general public. The Top Choice survey has developed into a platform that collects feedback from voters, creating a channel for consumers to freely share their thoughts with the businesses and professionals they love. We are so thankful to receive such glowing support from our community, and look forward to continue providing the best in snow and ice maintenance." Monster Plowing Company is very proud to announce that it has made the Mike Holmes List of Approved Contractors! 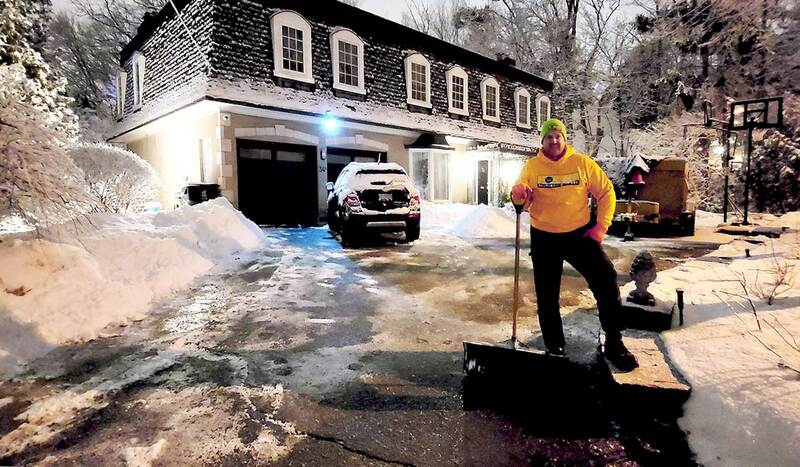 Monster Plow is the only snow removal service in the world to ever be featured on Mike Holmes' list. Listed within this prestigious collection are the contractors, suppliers, services and manufacturers that have appeared on all of Mike’s shows. 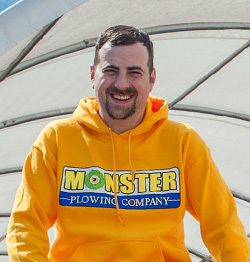 In the dead of winter, while filming an episode for his show, Monster Plowing Company was contacted by Mike's representatives to provide on-set snow and ice maintenance. The episode, a two-hour special entitled "Mike's Ultimate Garage", was successfully filmed despite the ever-present threat of stormy weather. As Mike was building a brand new dream garage from the ground up, the production spanned the entire winter. Monster was there throughout to make sure the property was safe for the crew, completely clearing any ice and snow! Mike Holmes was recognized in Canada’s House of Commons for his promotion of skilled trades and for his advocacy for improved building standards. He was acknowledged as an "extraordinary craftsperson" and "an accomplished master builder with a social conscience. 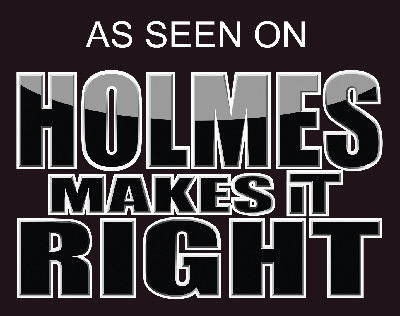 Beginning with Holmes on Homes and subsequent shows, Holmes rescues Toronto area homeowners from renovations gone wrong. He continued in his successor TV series, Holmes Inspection. He is also a judge on HGTV's show Handyman Superstar Challenge and its American counterpart All American Handyman with Scott McGillivray. 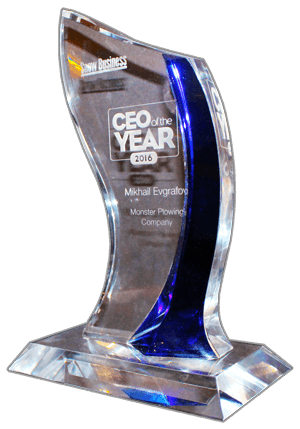 With great excitement, we are proud to announce that Mikhail Evgrafov, founder of Monster Plowing Company, has been named 2016 CEO of the Year by the international Snow and Ice Management Association (SIMA). 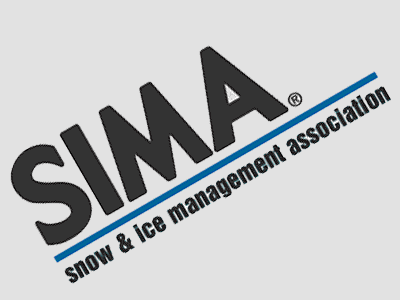 Each year, SIMA and Snow Business magazine open nominations for the CEO of the Year award, which recognizes a top company executive and their impact on innovation, financial success, and professionalism. Featured on the cover of Snow Business magazine (over 30,000 issues distributed monthly), Mikhail's recognition brought with it the opportunity to share his story with the world. 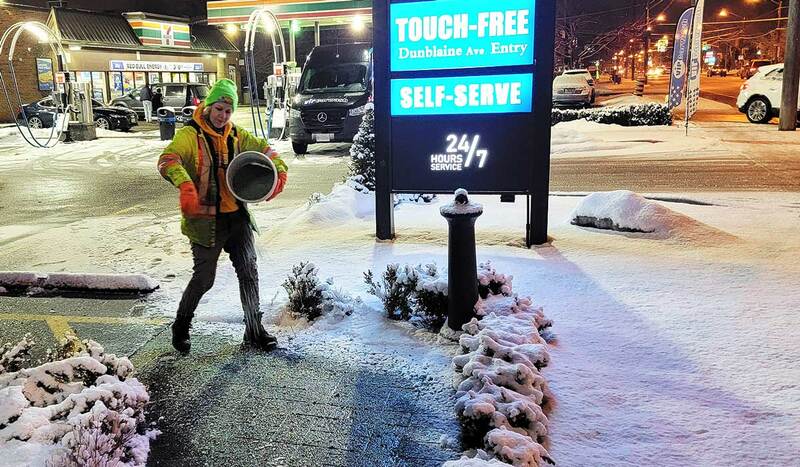 Having started Monster at an early age, Mikhail overcame great odds to transform his vision of truly reliable snow removal services into a reality. 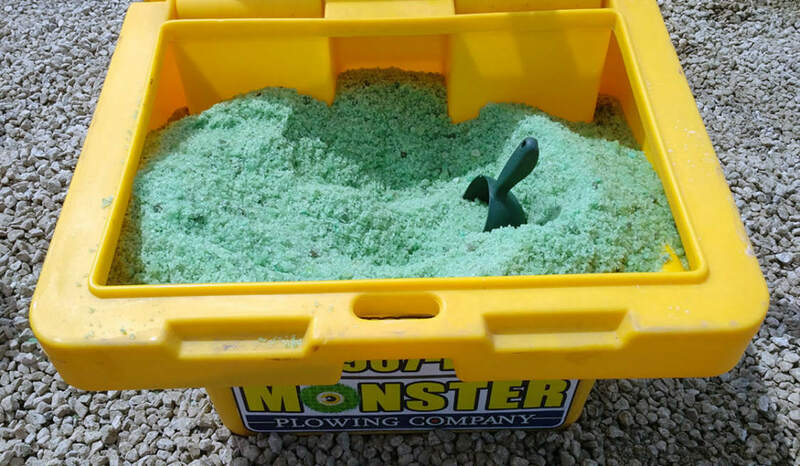 Envisioning a company which values delivering ultimate peace of mind to its customers, rather than just plowing their snow, Monster was born. 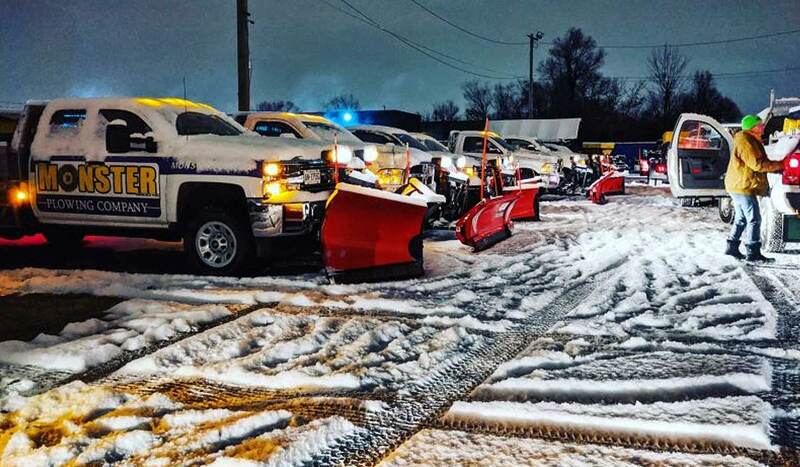 Since 2006, Monster Plowing Company has come far from local roots, to become the most accredited, trusted and reliable brand-name snow contractor in Toronto. As the CEO of the Year, Mikhail Evgrafov received industry-wide recognition in the June issue of Snow Business, including a feature on the cover, and presentation of the award at the annual Snow & Ice Symposium. Check out the victories, trials and tribulations of Mikhail's journey here! 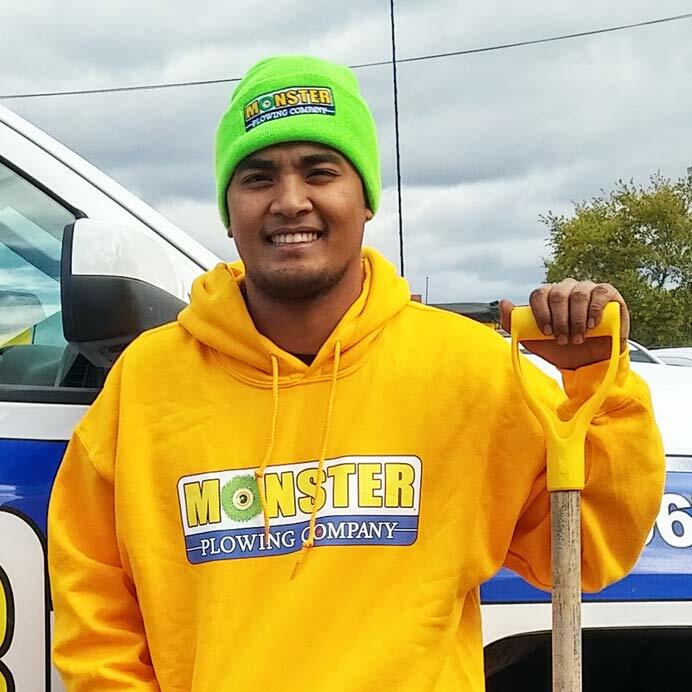 To recognize his dedication to the snow and ice removal industry, passionate determination, and boundless positive energy, Monster's very own Rommely Manicag was named a 2017 All-Star of Snow and Ice by the international Snow and Ice Management Association (SIMA). Talk about grabbing the proverbial bull by it's horns, and never letting go! No matter how cold the weather, or how grueling any given snow storm might be, Rommely's ability to stay cool under pressure, infectious leadership skills, and intense personal accountability for his professional duty set him apart. Rommely spends his up time enabling the Monster team to run like clockwork, and his down time making sure the Monster fleet of highly-specialized trucks and equipment is ready to go. During the darkest nights, and coldest days, All-Star Rommelly recognizes and embraces the role he has in keeping our client's properties safe. Always ready to take on a new challenge, Rommely's perseverance, active dedication, enthusiasm, and adaptability have never wavered in the face of Old Man Winter's harsh grip. Thank you Rommely, for being such a huge part of what makes Monster Plowing Company great. Three cheers for your success! 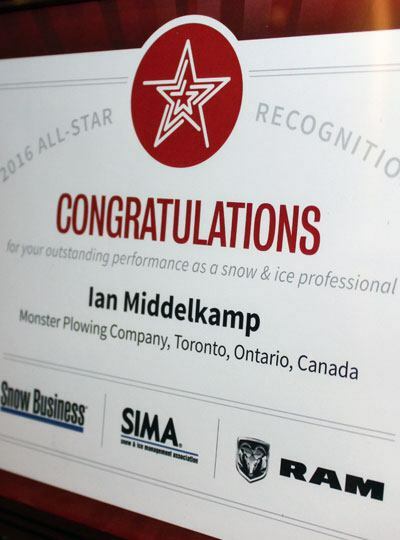 A jack of all trades, it is a pleasure to announce that our very own Quality Control Manager Ian Middelkamp has been named a 2016 All-Star of Snow and Ice by the international Snow and Ice Management Association (SIMA). Having Ian, a professionally trained software engineer, as part of the Monster Plow management team is a tremendous benefit. 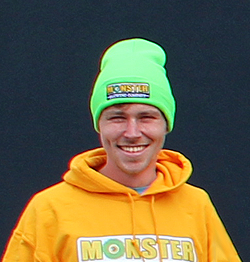 Ian actively spends the majority of his work time creating, perfecting and customizing the proprietary software the Monster staff use every day. A renowned problem solver and critical thinker, Ian is always thinking of new ways to improve and innovate the way Monster does business. From client communications and property scoping, to quality of service, staff management, billing, and operational logistics, Ian's software is the driving force behind Monster's ability to provide the most efficient and reliable snow and ice maintenance services to our many respective clients. Not only does Ian maintain our quality assurance department, but is also responsible for assisting with the day to day operations of the company. Congratulations Mr. Middelkamp, and may the snow force always remain with you! 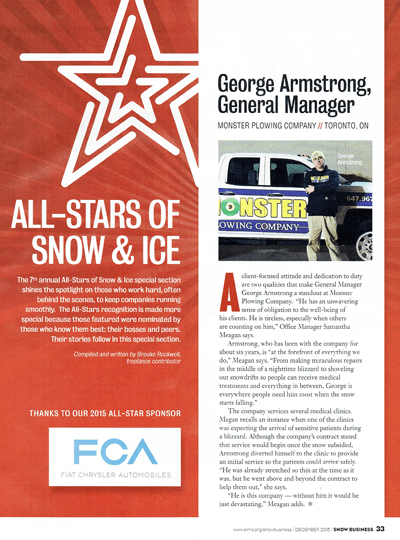 In 2015, George's instrumental dedication to Monster Plowing Company, and the snow industry as a whole, culminated in him being named a 2015 All-Star of Snow and Ice by the international Snow and Ice Management Association (SIMA). George continues to be instrumental, not only leading our sales division to record revenue figures, but also innovating, improving and streamlining the day to day operations of our company. From equipment procurement and purchasing, to supplier relationship management and maintenance solutions, George's fingerprints are all over the DNA of how Monster does business. Having started his career with Monster in the early days of the organization, George has been vital in helping make Monster Plowing Company what it is today. 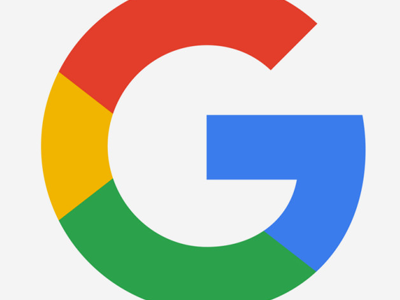 George brings with him intense enthusiasm for his work, as well as an unrivaled desire to learn, grow, and innovate, and be the best at what he does. When it comes to crunch time, George Armstrong is Michael Jordan in the clutch. Snow & ice maintenance isn't just a job, its a passion, and his input, innovative thinking, and creative problem solving have proven invaluable to the success of our team. 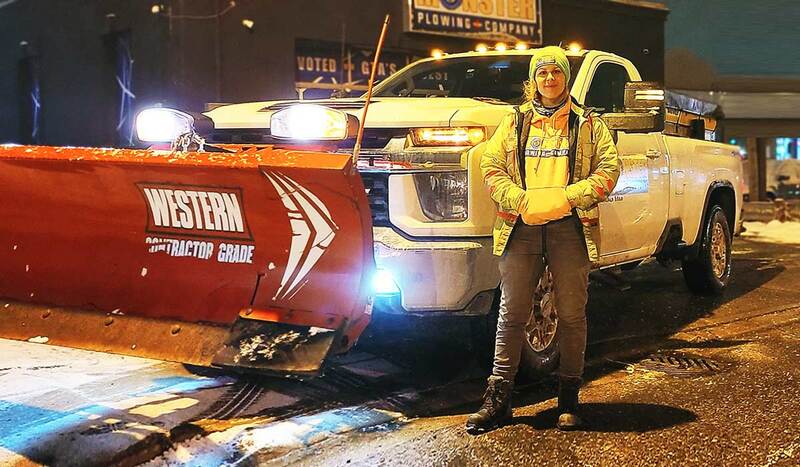 Presented by the international Snow and Ice Management Association (SIMA), the annual All-Stars of Snow & Ice competition shines the spotlight on those who work hard, often behind the scenes, to keep snow & ice maintenance companies running smoothly. 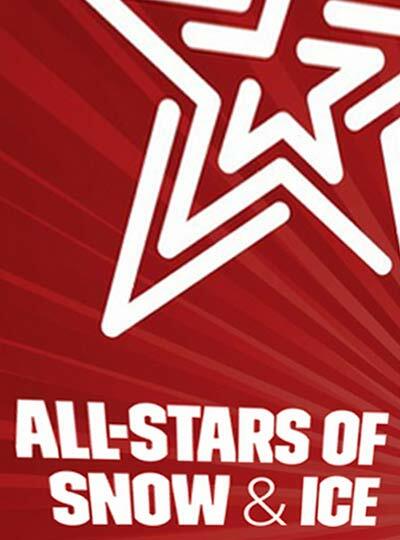 The All-Stars recognition is made more special because those featured were nominated by those who know them best: their bosses and peers. Each All-star dedicates a tremendous amount of time, energy and effort to becoming the best in their respective role, and being acknowledged as an All-Star of Snow & Ice is a direct reflection of their hardwork, perseverance, and drive to succeed. Quality service is at the very heart of Monster's success. We understand the paramount importance of winter safety for our clients. We fill the need for a reliable, prompt and consistent snow and ice maintenance service, delivered on-time, every time, with absolutely no excuses. Monster does not cut grass, fix roofs, or clean pools. We are completely dedicated to the snow removal trade, and snow & ice maintenance is the only type of service we provide. You can't afford to let your property get buried in snow and ice again... Guarantee yourself some peace of mind this winter, join our roster of satisfied clients today! 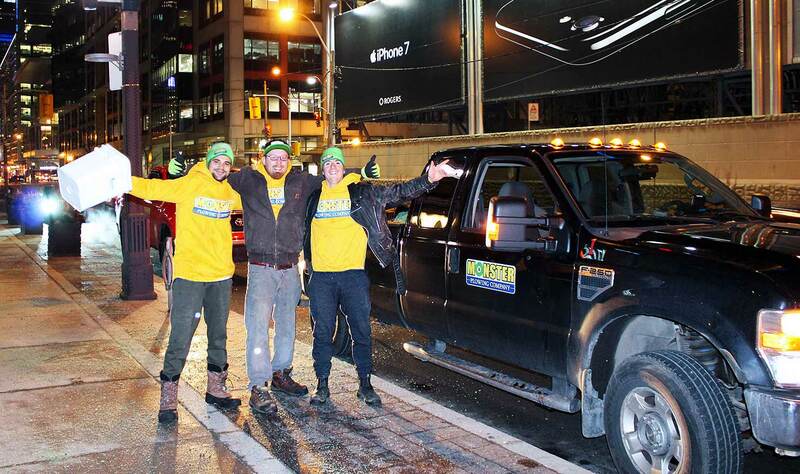 Why is Monster Toronto's #1 Snow Removal Contractor? Fully insured and compliant, our industry-leading safety management procedures ensure clients face limited impact from any weather-related liability issues. 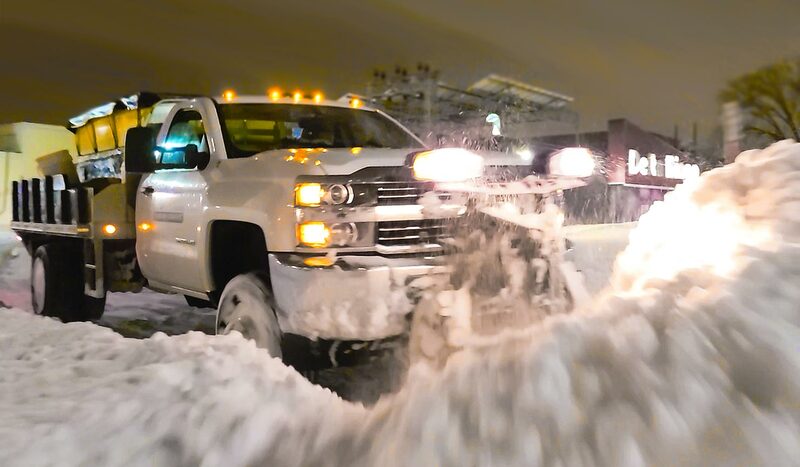 Spearheaded by an in-house, cutting-edge weather monitoring facility, Monster's contingency response plans are customized to manage all types of winter hazards. Equipped with fully-automated field service reporting and management capabilities, our proprietary quality control system ensures top-notch service delivery at all times. 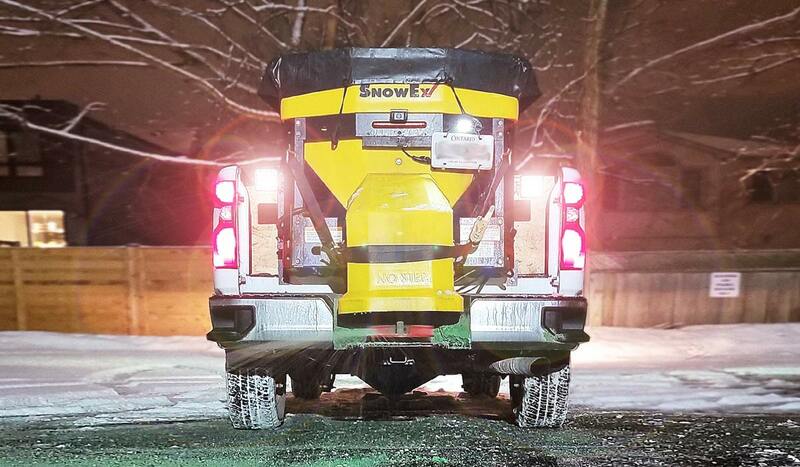 Led by a management team that never sleeps, Monster's team of fully-uniformed, meticulously-trained, and battle-hardened snowfighters is unrivaled in the snow industry. 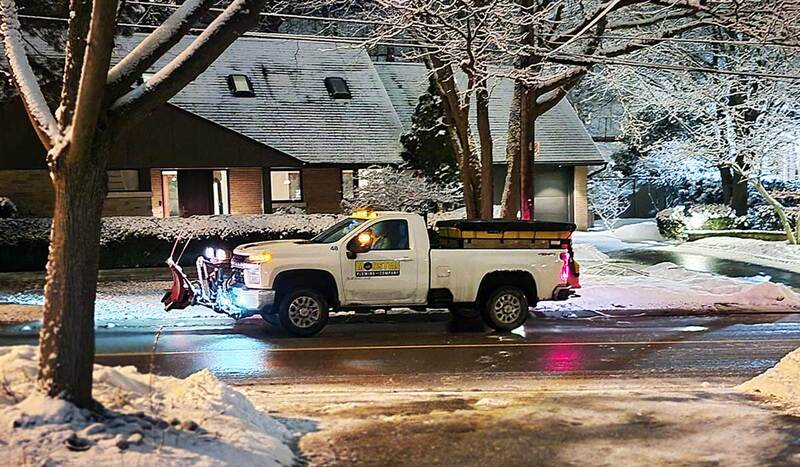 Featuring the latest in snow and ice removal technology, our extensive fleet comprises Toronto's largest, privately-owned armada of snow & ice removal equipment. Innovative technological solutions and breakthroughs include GPS-tracked vehicles, dynamic work orders, automated dispatch, and computerized routing. Unique in the Toronto market, Monster is entirely dedicated to the snow removal trade. 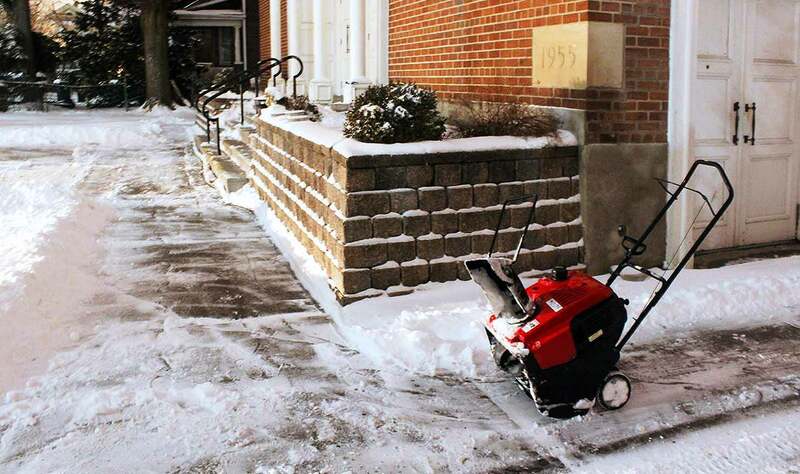 Solely devoted, snow and ice maintenance is the only type of service we provide. During snow events, office staff are available to field customer enquiries at all hours of the day or night, either by telephone, email, Facebook, or Twitter. Proven by a glowing track-record of client satisfaction, Monster has earned the Consumer Choice Award for Business Excellence, five consecutive years in a row. 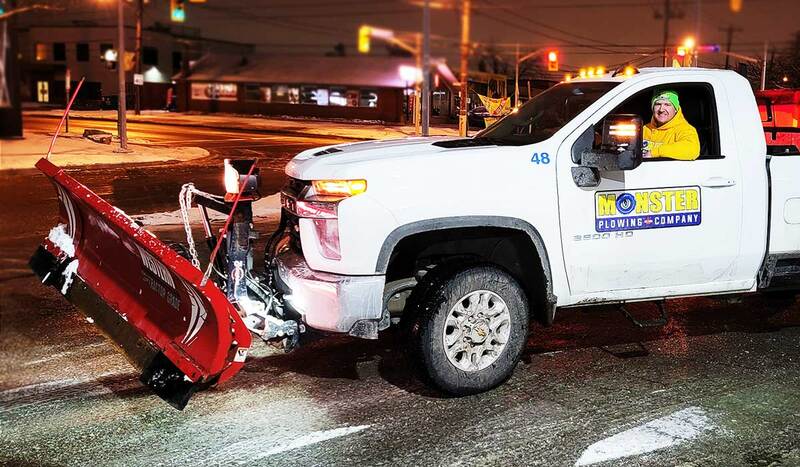 With over a decade of experience plowing snow in Toronto, Monster has established relationships with many of the city's leading establishments, businesses, organizations, and institutions. 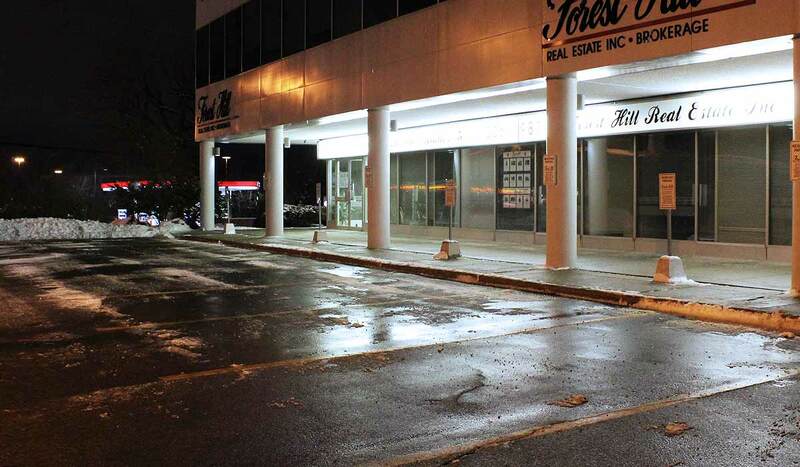 Toronto's leading entrepreneurs, real estate developers, property managers, proprietors, and homeowners trust the winter safety of their premises to Monster, and return year after year, lauding the impressive service our team routinely delivers. Forget worrying about the snow this winter, join our esteemed group of clients today! What Do Some of Our Esteemed Clients Have to Say? "You want service? 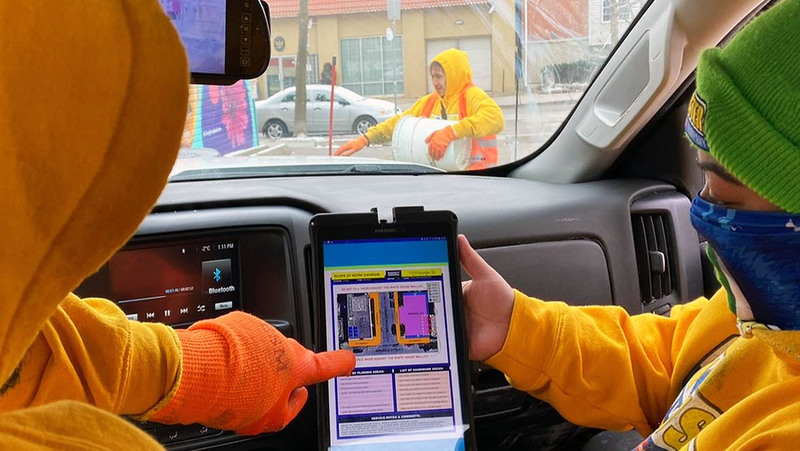 Toronto’s Monster Plowing Company not only provides a guaranteed service, its GPS-monitored trucks will automatically [create a detailed log entry] when its truck arrives at and leaves your property. Or, watch its truck’s progress in real time, on its website. More service? 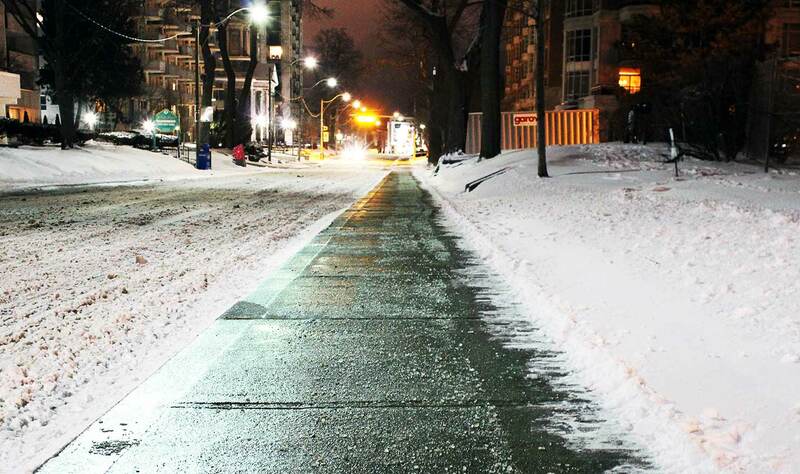 Monster can also clear your sidewalk and entrances, and make them safe with environmentally friendly de-icing agents. Private services such as Monster invariably outcompete the city’s inflexible, unionized municipal workforce, saving taxpayers money and improving their quality of life." 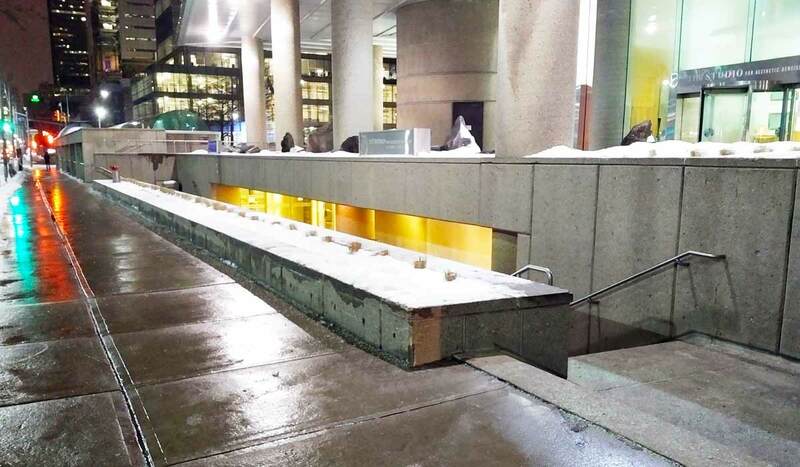 "We have 24 properties in downtown Toronto and Monster Plow clears the snow in the parking area of the properties for us. I have found this company to be very good. I sometimes get complaints about the work from my tenants but they respond to the problems really quickly. Also, out of the 24 I have only had one or two complaints so that says something! 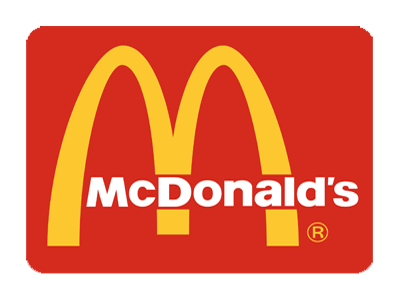 I have been using their service for 3-4 years now and have been really happy with them. " 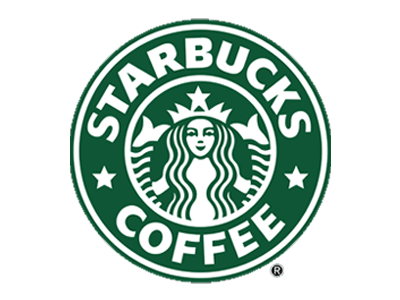 "Work was completed on time with minimal customer disruption at my 3 locations. We don't have to call for follow up service over the course of the contract. 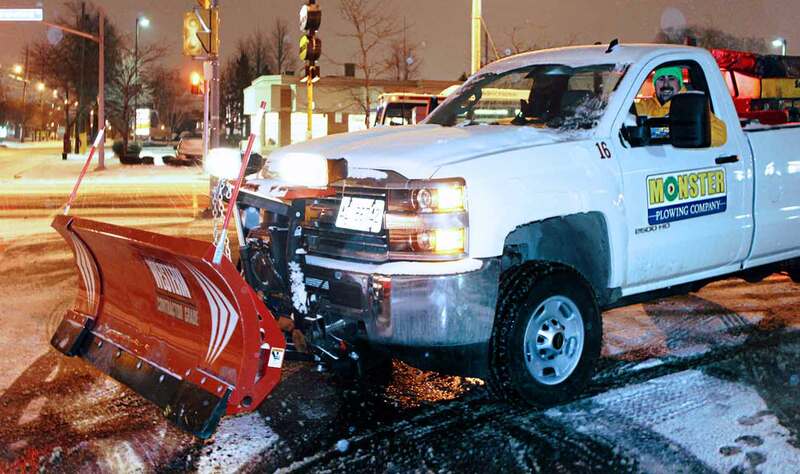 One of the better service providers we have used for snow removal. " 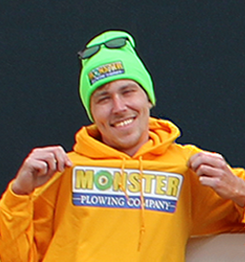 "I got a year contract with Monster Plowing and thought their service and company was fantastic. 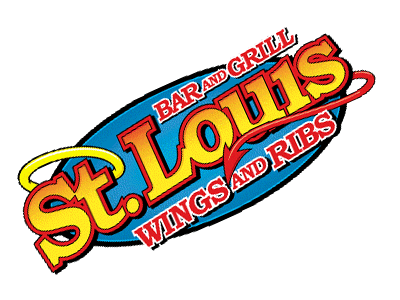 They handled all our snow removal and plow and did an excellent job." "Monster Plow did the winter maintenance and snow removal on a condo that I have a contract for. They were really to great work with, very professional and I am very happy to have used them this year. This was my first time working with this snow removal service company and I found their communication to be top notch and I have no complaints. I wasn't very happy with previous companies I had worked with in the past so this year decided to go with someone new. I found Monster Plowing through a google search." "Monster Plow Co. did an excellent job for me last year. Mikhail responded to my request promptly. The team plowed the driveway & parking space diligently as laid out in the contract. In spite of the huge amount of snow last year, they came as frequently as required. I am very impressed with their service and definitely will sign with them again next season." "Monster provides an excellent service -- they are thoughtful, prompt, and careful." "I am really impressed with Monster Plowing's communication services as they always send out e-mail updates before a storm is coming to let people know what they are going to do." "Monster Plowing company did my snow removal and cleared a common driveway for each of the condo units. They also shovelled the stairs for each condo unit (there are 12 units in total). 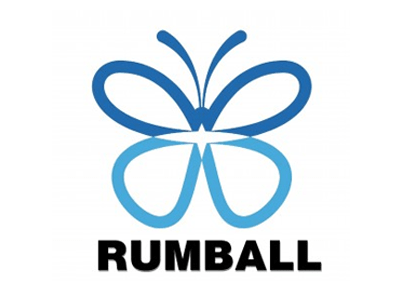 We are really happy with their work and we have been using their services for over 5 years now! " 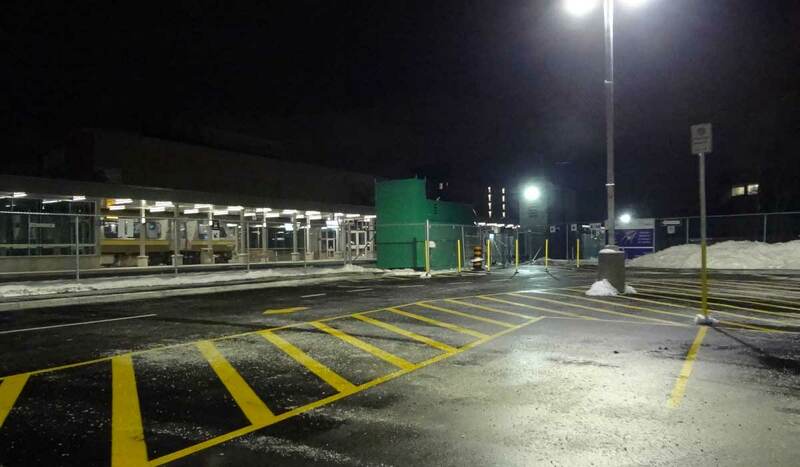 "We've been hiring out snow removal services for the past 10 years for our strip mall lot and walkways. 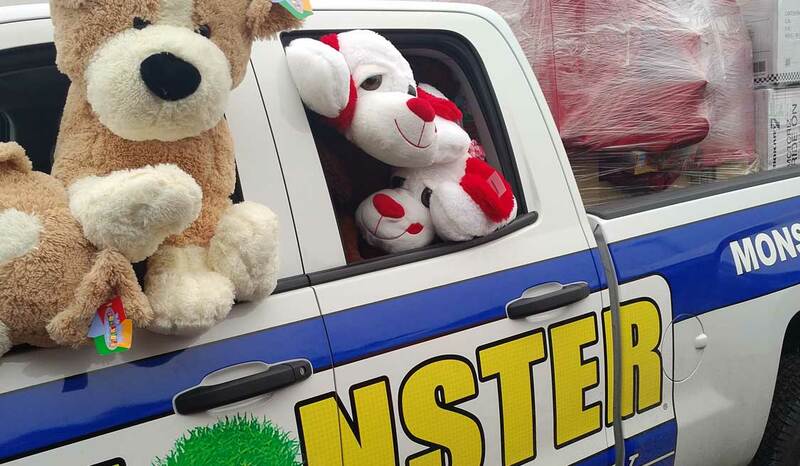 We were never able to find a steady contractor until we found Monster. We've been with them for the past four seasons and are very happy with our service. They always come through on all their promises, and are very easy to contact when we need them. I would recommend the Monster for any commercial lot." Monster Plow is truly different and the results are spectacular. Our service can include clearing of not only your parking lots and driveways, but also clearing of sidewalks, walkways, steps, entrances, fire routes, and just about anything you need plowed or shoveled. Everytime a Monster crew attends your property, we want to make you proud of the work we've performed. Our team is made up of an incredibly tight knit, dedicated group of individuals, who arrive to work amidst any winter weather with a big smile on their face. 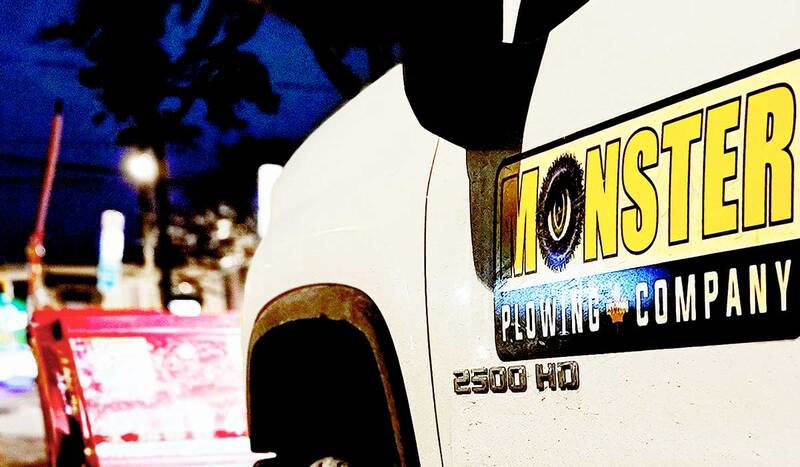 At all times, our number one goal is to ensure that all of our clients are satisfied with the services they've received from Monster Plowing Company. 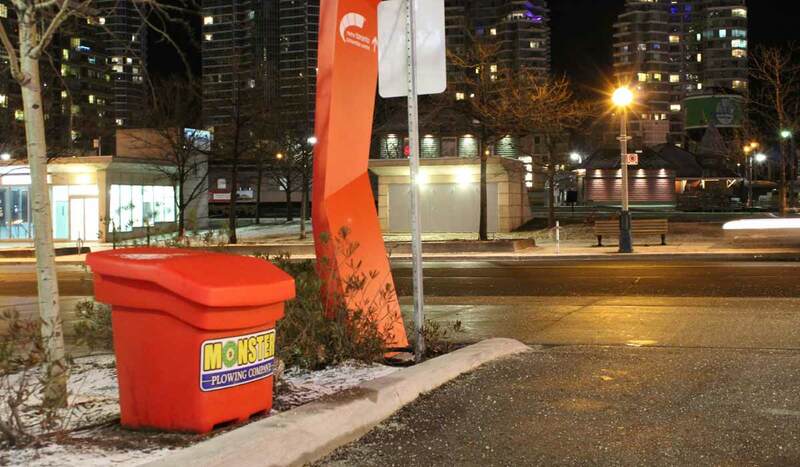 Click here to find out why else Monster truly is Toronto's best snow removal service. 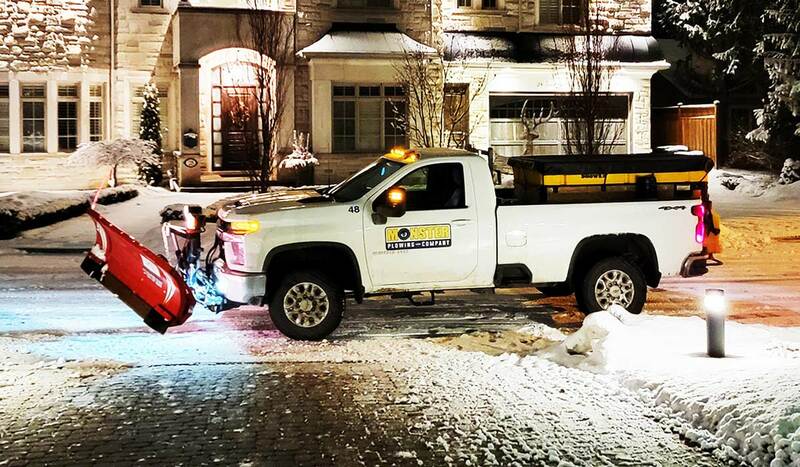 We are the only Toronto snow removal company to offer truly unlimited, all-inclusive, flat-rate snow and ice maintenance contracts. All snow clearing and ice melter applications are included in your seasonally-contracted service. Unlimited coverage means guaranteed service throughout the entire duration of your contract, with absolutely no pricing fluctuations. Our service will always remain unlimited, even during the harshest of winters, no matter how much, how hard or how often it snows. We don't have any visit or accumulation caps. Regardless of how heavy the weather, your quoted price will never change. 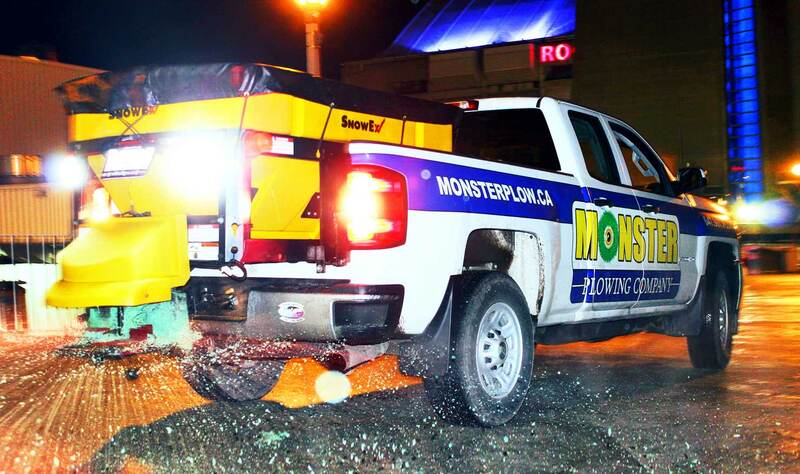 With Toronto's lowest accumulation trigger of only 1 centimetre, and all-inclusive deicing included for all types of freezing events, Monster provides continuous, guaranteed snow and ice maintenance, all winter long. Sign up for a Monster contract, and never worry about the weather again! Hazardous freezing conditions will strike your property this winter. 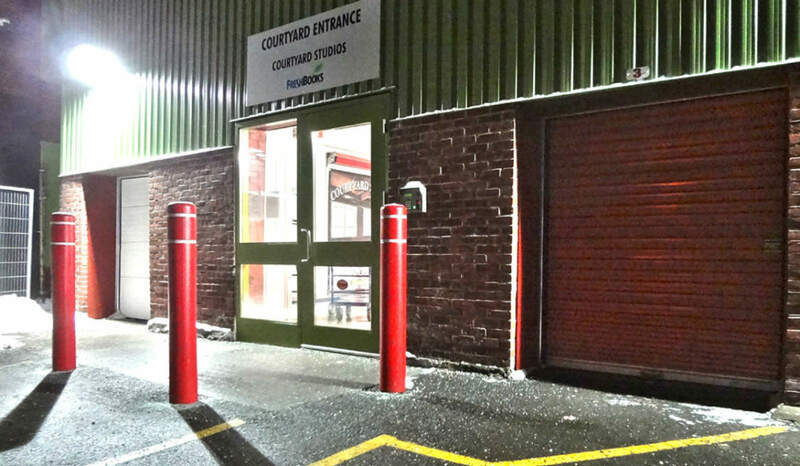 These freezing events require immediate maintenance to keep your premises safe. 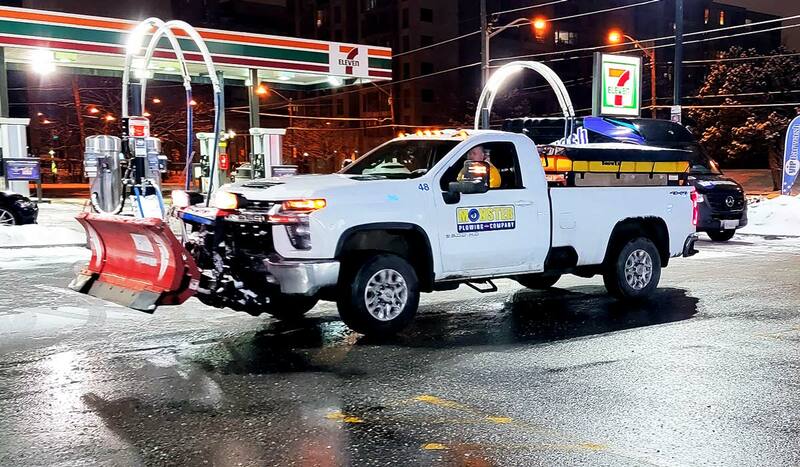 Included in Monster's snow and ice coverage, service visits are made automatically to apply our eco-friendly Green Ice Melter every time there is any kind of threat of ice build-up. All freezing events, which includes ice storms, freezing rain, flash freezing, sleet, slush, and minor nuisance snowfalls, are guaranteed to receive automatic service, all winter long. When most property owners or managers think winter, they think snow. Freezing conditions can pose an even greater threat, and should not be overlooked. 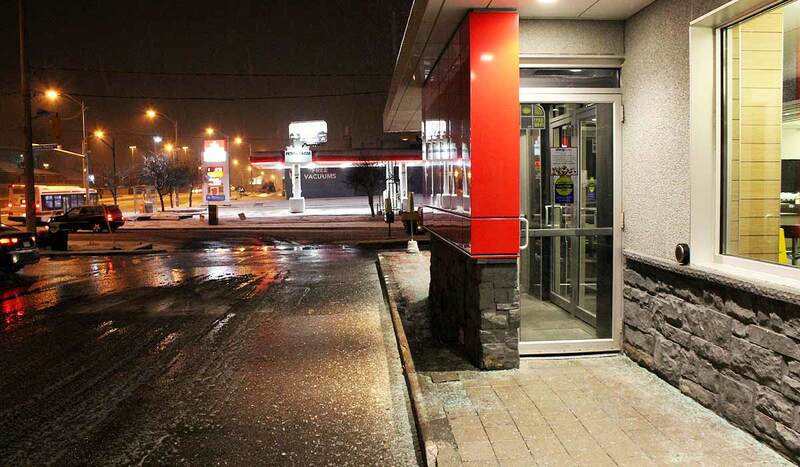 You can't afford to leave your property unattended during an ice attack. Trust Monster to keep you safe this winter, no matter what Mother Nature brings! Leave your skating for the rinks this winter, get your free quote today! 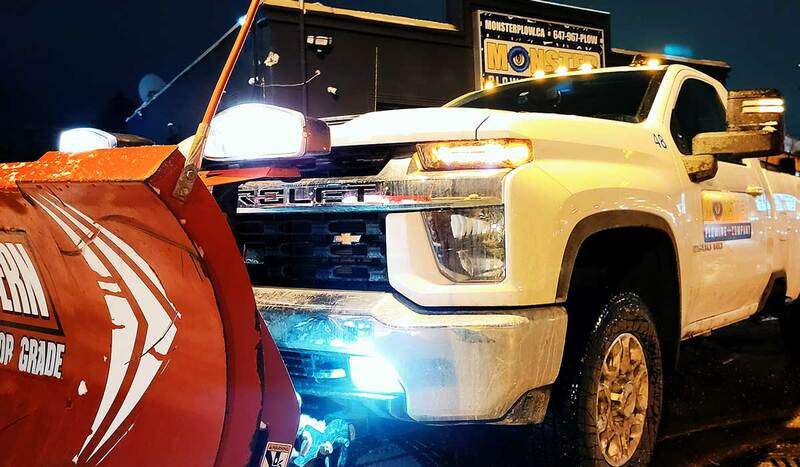 Monster is Toronto's first residential and commercial snow removal service to offer up-front, guaranteed flat-rate seasonal pricing, no matter how big, small, or customized your requirements may be. When you sign up for a snow removal contract with Monster Plowing Company, you can rest assured that our flat-rate seasonal service will leave your budget in the black. Unlike the majority of our competitors, we have absolutely no hidden or extra charges. All of the services included in your seasonally-contracted service are guaranteed to remain unlimited, no matter how many times Mother Nature needs us to attend your property. Never will we run up your bill with unnecessary deicer applications, because all of the deicer applications are included in your flat-rate. Even during the harshest of winters, you can remain confident that your property is covered, no matter what Ol' Man Winter has in store. We know how important it is for our clients to maintain their monthly maintenance budget. With Monster, your pocketbook will never take a surprise hit! Forget the worries of winter, click here to instantly schedule your free quote! 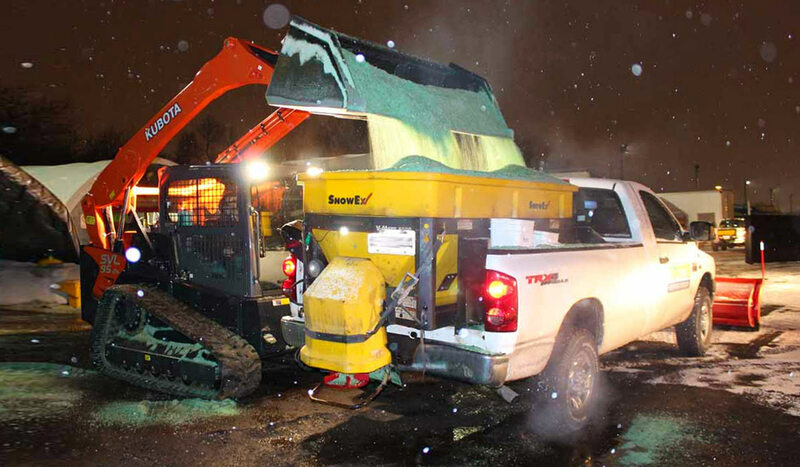 Instead of salt, Monster Plowing Company uses an environmentally-friendly, Green Ice Melter exclusively for all of our deicing operations. Green Melter is 84% less corrosive than regular road salt. It effectively melts snow and ice at temperatures as low as -18°C. It does not create any dust when applied, making your property more appealing to its visitors. Green Melter is safer for our water supply, vegetation, landscaping and pets. It will extend the life of your pavement, hardscapes, plants and lawns. Besides being a better product for the environment, it creates much safer passage, quickly, for the people and vehicles that use your property! Ice and freezing conditions on your property pose a huge safety risk, and traditional road salt is just not up to the task of providing the performance your property requires. 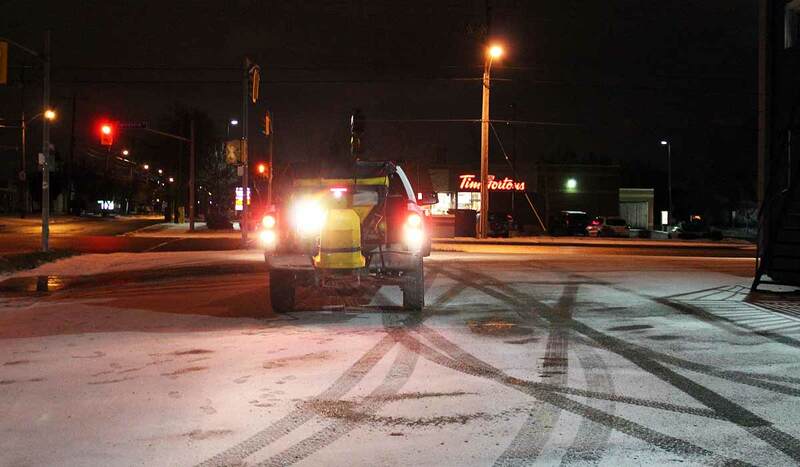 Stop ruining your property, and our planet, with regular road salt. Trust Monster to keep your property safe, the conscious way! Truly an innovator in the field of snow and ice management, Monster Plow wields the most technologically advanced systems in the industry. 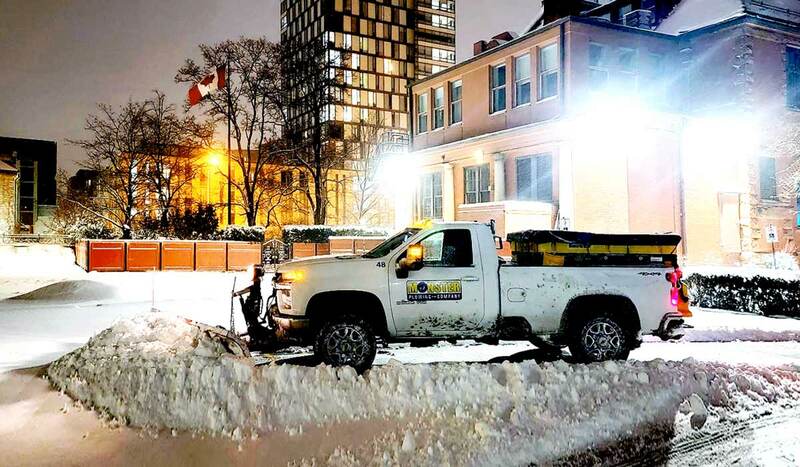 Our unique investment into planning, strategy, and logistics enables our team to provide the fastest snow removal services in Toronto. Delivering world-class service is in our blood, and exceeding the expectations set by our clients is our number one priority. 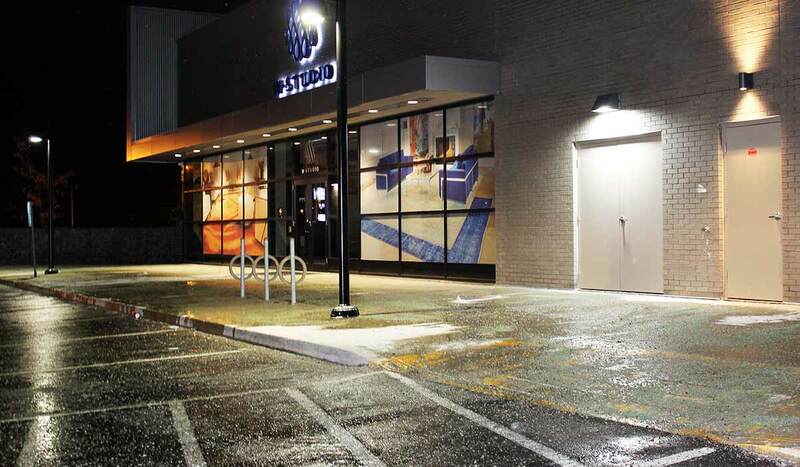 With guaranteed early-morning service, emergency daytime clearing and multiple visits for heavy or extended storms, you can trust the safety of your commercial property or residential property to us. Get some peace of mind this winter, schedule your free quote today! 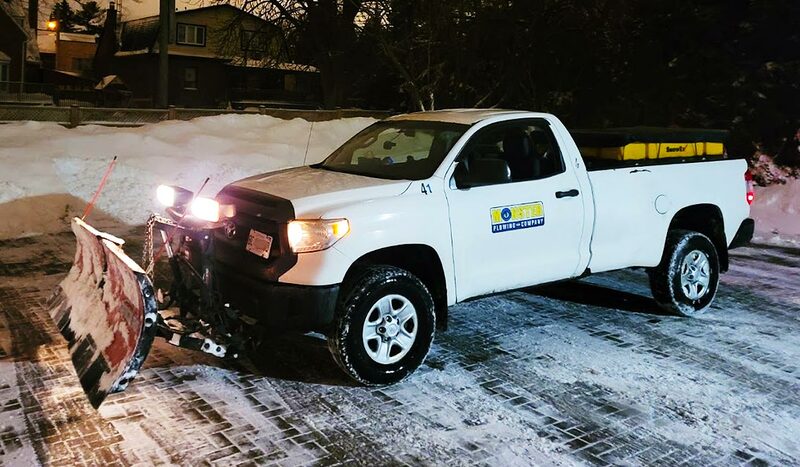 Having received industry-wide recognition from distinguished leaders like Mike Holmes, Top Choice, SIMA, and CCA, Monster has truly become Toronto's leading brand-name residential and commercial snow removal service. Proven by our high percentage of returning clients and outstanding overall business growth, we always strive to maintain the highest levels of service quality, reliability, courtesy, and satisfaction. Upon request, references from current clients are readily available. All of our customers are happy customers, and we love to show them off! Join our esteemed group of clients, schedule your free quote today! 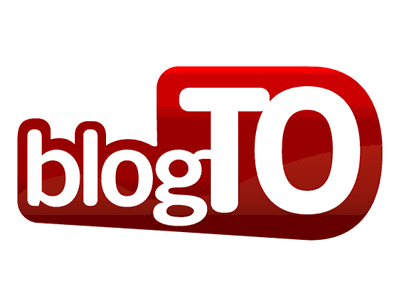 Voted Toronto's Best Snow Removal Service! 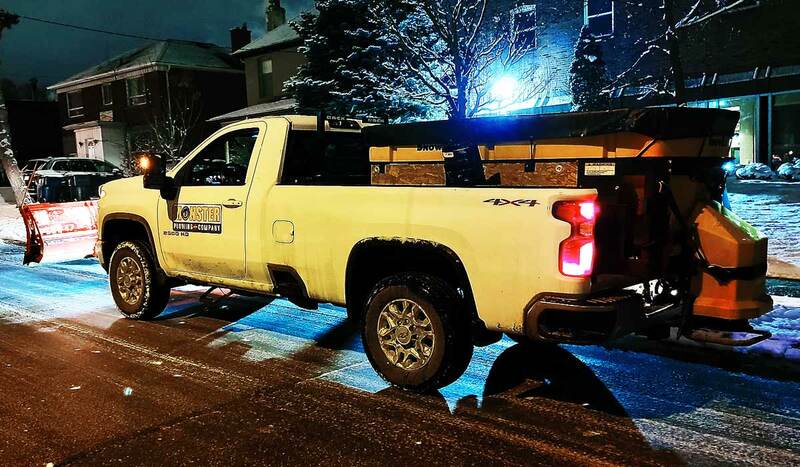 Winter weather can hit unexpectedly at any time, so having a prepared, dedicated, and professional contractor is crucial in order to ensure a clear, safe, and accessible property throughout the winter. 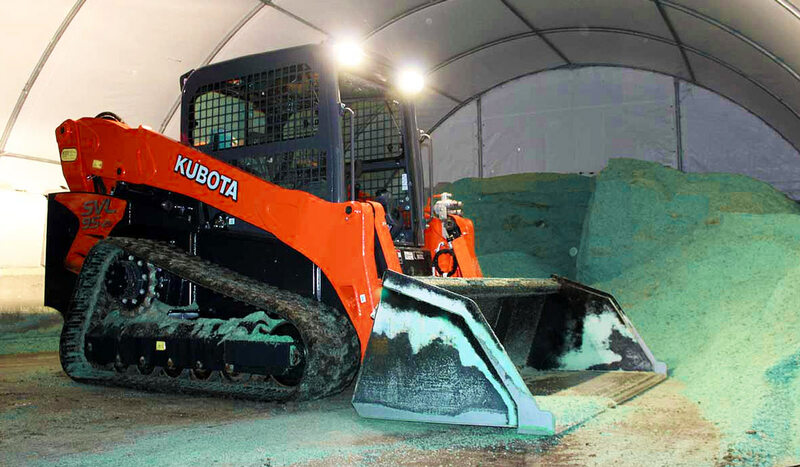 Monster's industry-leading snow management guarantees clients face as little impact from the weather as possible. During the winter, you can expect Monster Plow to provide more than the competition. More service calls. More quality. More communication. More reliability. More dedication. 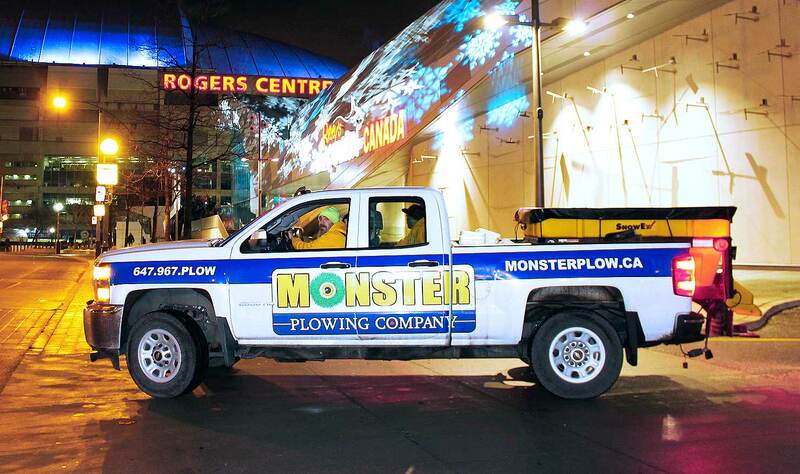 Toronto's premiere property owners trust Monster Plow, and return year after year for the amazing service we deliver. Our team is eager to see how Monster can help your property succeed this winter. Book your free quote to find out! Capacity is Limited, So Book Your Free Quote Today! 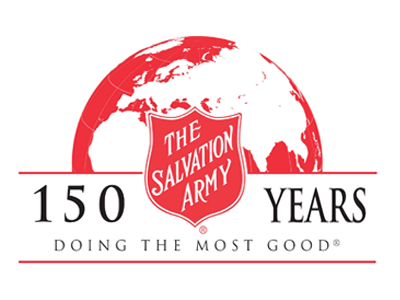 EARLY BIRD PRICING EXPIRES ON OCTOBER 15th! Save big when you confirm your spot this winter before the countdown reaches ZERO! Fill out the form below to instantly book your free, customized quote. Be sure to include a descriptive list of all areas on your property in need of service. Upon submission, you will receive an automated confirmation email. Your property will then be surveyed, and a custom scope of service diagram created. Once it is ready, you will receive your customized winter maintenance quote package via email. If we need any clarification during the surveying process, one of our team members will be in touch to confirm details. Upon receiving your quote package, if you have any questions, adjustments to make, or are ready to sign up, we are always just a quick email or call away! Your twelve-page written quote will include available Service Package pricing levels, selectable service options, payment schedule, and a detailed computer-generated diagram of all areas to receive service. All contract terms and conditions will be thoroughly explained within this file. This file will also serve as your written contract should you proceed to sign up. 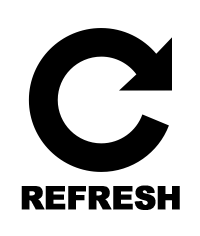 So that we can provide an accurate quote, please be sure to provide a detailed description of the premises and all areas in need of service. Once we receive your quote request, a member of our sales team will visit your property to survey the location in-person. If you do request a meeting, one of our sales staff will be in contact with you within 24 hours to schedule a meeting time based on your availability. 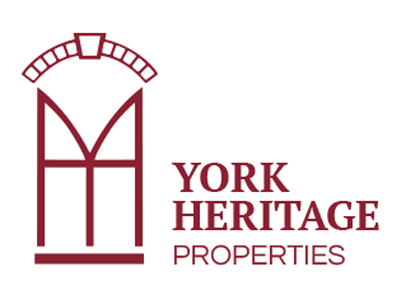 Should our sales team have any questions regarding the specifics of your property, a representative will contact you either via email or telephone prior to compiling your quote. 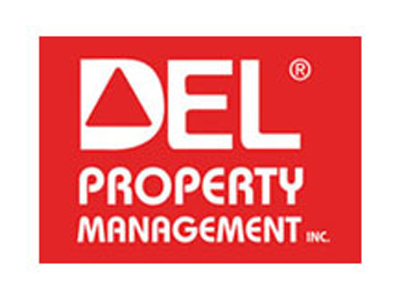 In most cases, a meeting is not necessary, but we do prefer that large commercial or multi-residential site owners/managers are on-site during the surveying stage. Your flat-rate seasonal cost will be based on the specific requirements, labour needs, and layout of the property. Our pricing is absolutely all-inclusive, with unlimited coverage of every snowfall over 1 CM, as well as all freezing events such as ice storms and freezing rain. Your quote will offer a choice between two different Service Package levels, allowing you to select the Package best suited for your site's requirements and budgetary constraints. It's like getting two quotes in one! Quotes are always free and come with absolutely no strings attached. Remember, our seasonal service covers your property from first to last snowfall, with unlimited clearing and deicing, all winter long! 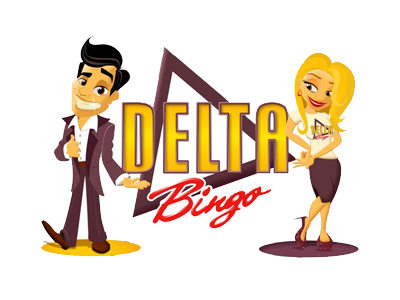 There are no hidden fees, no extra visit charges, and no worrying about unforeseen payments. Your quoted pricing for the current season will never increase, and your flat-rate cost is absolutely guaranteed for the entire winter. The quoted pricing is not an estimate, but rather a guarantee of seasonal cost. 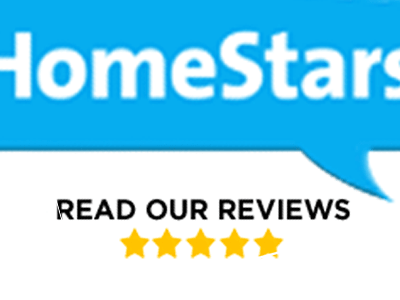 "I'm extremely impressed, both with your service as well as your team! It's always a relief to wake up on a snow day to see the work has already been done. Your staff are a bunch of true professionals, and I wouldn't hesitate to recommend Monster to anyone. Thank you so much for keeping us safe!" Toronto's only award-winning snow removal service, proudly clearing snow and ice from commercial and residential properties since 2006. Get an even quicker response. Need More Monster? Find Us On Twitter, Facebook, or Instagram. 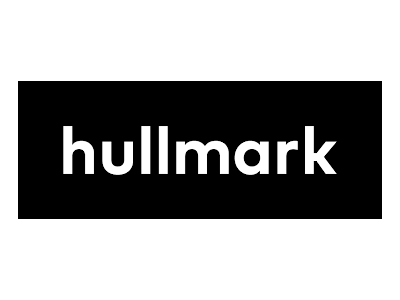 Copyright © 2019 Monster Plowing Company.